Hybrid golf clubs are useful on the course for difficult shots and it is essential to choose the one that is right for you and your game. Hybrid irons have become an increasingly popular option for players of all levels. Originally popular with high handicappers, hybrid irons are now replacing fairway woods and low irons as the popular option for long shots from the tee, fairway and rough. Hybrid irons are built with a low center of gravity that allows for more forgiving shots at a higher trajectory. Hybrid irons can greatly improve the confidence of the golfer, and the contact, feel and flight of the ball. 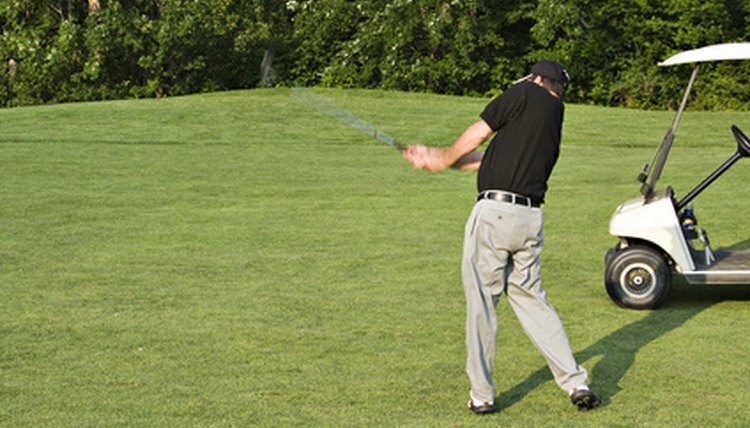 It is important to first decide if you would prefer to buy a new or used club. This decision is often dependent on how much the buyer wishes to spend. New hybrid irons generally are priced between $150 and $200. The price of used clubs varies, but clubs can often be found at prices between $50 and $100. Select the proper hybrid iron. The purpose of all hybrid irons is the same, but some manufacturers rely on different parts and materials. Most hybrid irons have different shaft flexibility. Golfers with softer swings should choose a more flexible shaft. Likewise, golfers with higher swing velocities should choose a firmer shaft. Grips can also vary greatly. Make sure a grip is chosen that is comfortable and effective. Note that grips are the most easily changeable feature of any club. Hit a ball with the club. Most golf equipment stores have a testing area. Other stores allow buyers to test the club over a limited-day period. Many hybrid irons use different materials to make the club face. The feel of the club face on impact with the ball can range from soft to extremely hard. The preference for either is dependent on the individual golfer. Purchase the club that feels the best and most solid to you, remembering that confidence plays a large part when stepping up to any golf shot. Michael Miller is a freelance writer and editor living in Denver, Colorado. Since 2004 Michael has worked for various print magazines, newspapers, and online sites, including golflink.com. He has an M.A. in Journalism from Indiana University. How Far Can Hybrid Golf Clubs Hit? Which Golf Clubs Improve Your Swing?